Here I go again, digging a band with “Black” in the name yet who have not one Black band member. I’m so calling the NAACP. Some sounds have a unique American stamp on them, but the fact that neither Jan Paternoster (vocals, guitar) nor Dries Van Dijck (drums) of Black Box Revelation are American is something that we won’t hold against them. I’m gonna give them all kinds of leeway because Shiver of Joy is that party rock, brash bunch of leather-clad skronk that is a good reason to keep the borders open, as they’re making American garage-rock (by way of Belgium) just as well, if not better than some of the natives. The ears must appreciate their predecessors who have come before bearing an obvious influence like Zeppelin, The Black Keys, The Rolling Stones, even Black Rebel Motorcycle Club. In fact, I think that they’d pair marvelously with BRMC on tour so someone get to work on that, okay? There’s much to like in this six-song collection; Black Box Revelation strip it down to the basic elements of crunch and Delta blues-infused garage rock, as fine-tuned as it is trashy and raw. Where the title track worships at the feet of the most basic Eagles of Death Metal song, “Love Licks” and its declarations of “Hell yeah, here comes my girl” is thoroughly skuzzy to the point of needing to bathe. Yes, “I Think I Like You” packs the punctuated riffs and heady beat to get all the airplay (you cannot discount the intelligent pop sense they possess underneath it all) and “You Better Get In Touch With The Devil” is a blistering head rush, but the diamond is when BBR capture a sinful arc of blues and harness it for almost 7 ½ minutes in “Sealed With Thorns.” So much retro yet contemporary nasty musical swagger and swirl in that one song, and you will hit repeat. 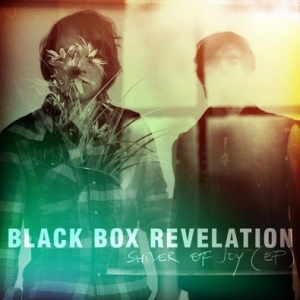 Stand by for Black Box Revelation’s third full-length release, My Perception due for U.S. release in 2012. Oh Black Box Revelation, I think I like you.